We have been burnt before (see 17/10/2016: Deutsche Bank, on a wing and a prayer). The temptation for perennially positive equity analysts is to say yes, even though the mechanics of a rights issue are such that this does not translate into a positive upside at the time of writing. In effect, successive managements have essentially bought market share at too high a price, i.e. too high bonuses. The settlement of the RMBS bill to the US DoJ (€7bn) stands well below initial rumours ($14bn) but the US operations of DB remain under the continuing threat of numerous pending legal actions (Russian and Iranian “mirror trades”). That sounds like a joke but as the top brass is looking more German with two new deputy CEOs under the Schwarz-Rot-Gold Flagge, industrial logic is at least respected. This may well be the true reason to give credit to the Cryan efforts: rebuilding a German anchor. We thought that this would have happened seven years ago and proved wrong. 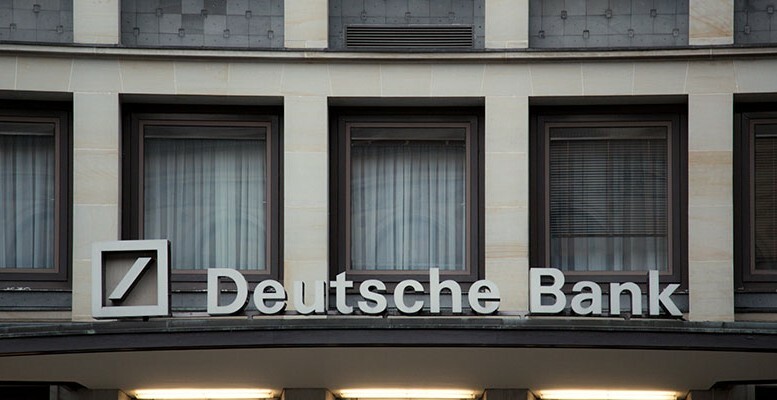 It looks to us that for Deutsche Bank to be less under the spell of investment bankers who ultimately socialise risks, more of a German sense of responsibility can only be welcomed. There is considerable work remaining indeed to cut into Deutsche Bank’s too many businesses. The following chart (up to 2016 as our 2017-18 figures allowed for Postbank deconsolidation and thus need to be rejigged) shows that the work down on the balance sheet total (in pink) that could be commanded is not exactly matched on the RWA front. Needless to mention that between 2007 and 2016, DB’s total equity will have grown from €32bn to nearly €62bn with no real return to match as the 2007 profit (€6.6bn) has plunged to a €1.7bn loss attributable to shares (a significant improvement on the €-7bn of 2015). The last considerable capital increase of €8.5bn in 2014 was therefore completely used to cover the losses for 2015 and 2016. This still amounts to €117,000 per head or rather €132,000 once more plebeian Postbank staff is excluded from the total. As banks including investment banks go digital and robot, it should not be too difficult to find a €3bn saving as part of a thorough reengineering. Reverting to a €5-6bn recurring operating profit may not be out of reach. After tax that would leave €4bn or c. €2 per share. This means that by 2018-19, DB would have recovered EPS last seen in 2012. Awarding a modest guaranteed dividend may not be enough to buy shareholders’ patience. Carax- Alphavalue’s target price, computed before the share goes ex-rights, points to a 16% downside. Let them wait and see for the completion of the rights issue before dipping a toe. Did Deutsche Bank plan to go viral right before its capital increase?